When: Saturday, April 13, 2019, 10:00 a.m. to 12:00 p.m.
It’s the City of College Park’s Annual Spring Egg Hunt! 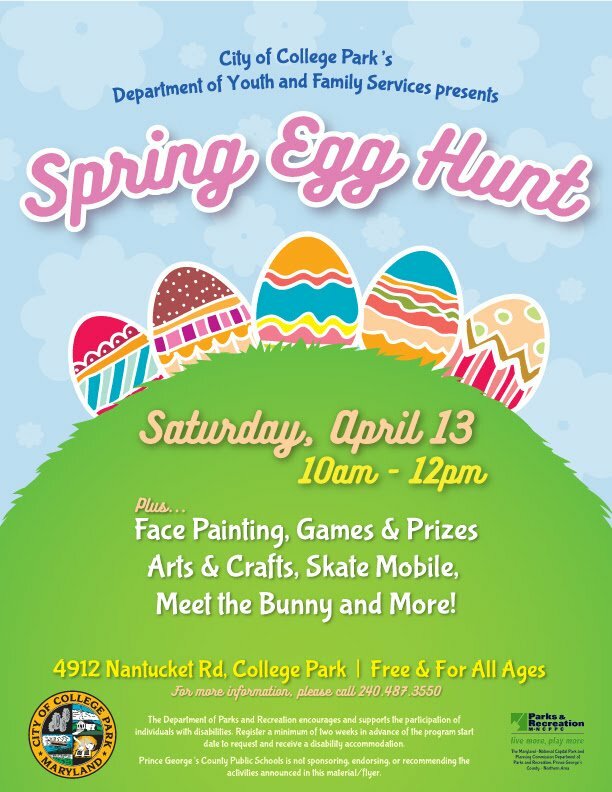 Join us on Saturday, April 13 from 10:00 am to 12:00 pm at the City’s Youth and Family Services (4912 Nantucket Rd) for a spring-time fun egg hunt. There will be face painting, games, prizes, arts and crafts, meet the Bunny and more!